Houghton Mifflin Harcourt, 9780547564654, 256pp. 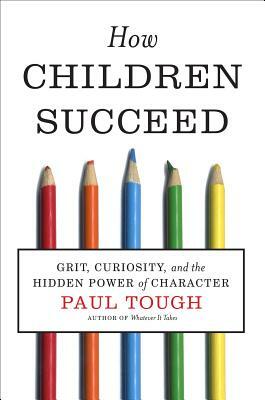 PAUL TOUGH is the author of Helping Children Succeed and How Children Succeed, which spent more than a year on the New York Times hardcover and paperback bestseller lists and was translated into twenty-eight languages. He is also the author of Whatever It Takes: Geoffrey Canada’s Quest to Change Harlem and America.He is a contributing writer to the New York Times Magazine and a regular contributor to the public-radio program This American Life. You can learn more about his work at paultough.com and follow him on Twitter @paultough.